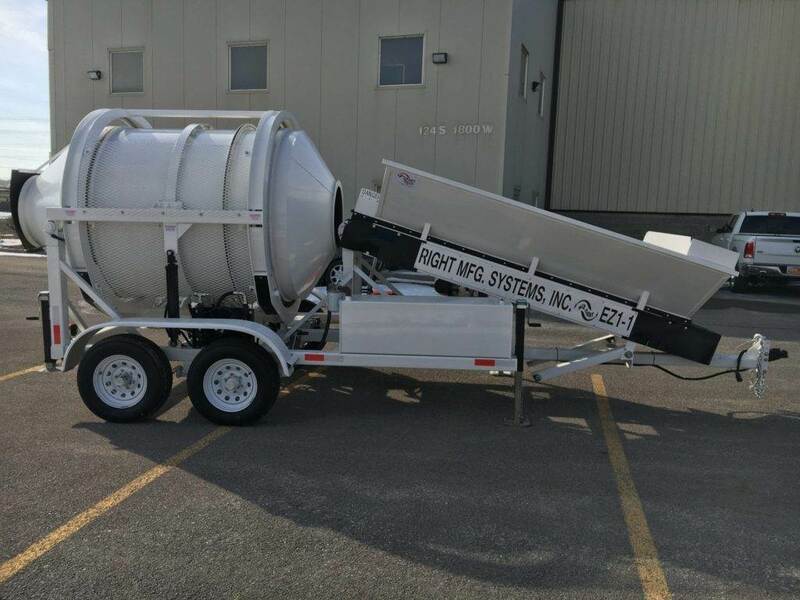 The EZ 1-1 mixer / batcher combo is small and compact, yet this machine can really produce. 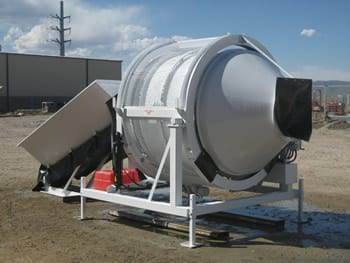 Its 1.2 yard drum capacity and incredible cycle times of 3 to 6 minutes generate 8 to 10 yards or more per hour! The unique design employs a through-drum mixer to achieve an excellent mix. 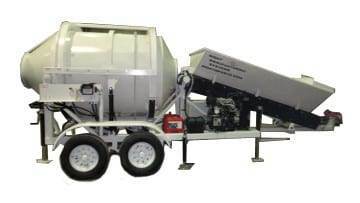 All EZ horizontal mixer designs mix 0 slump concrete loads consistently. 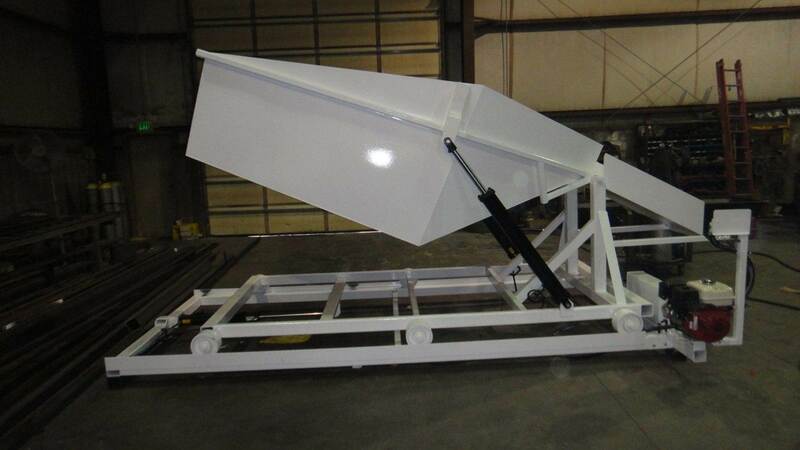 Loading the mixer is easy with its 1.2 yard hopper and conveyor loading system. 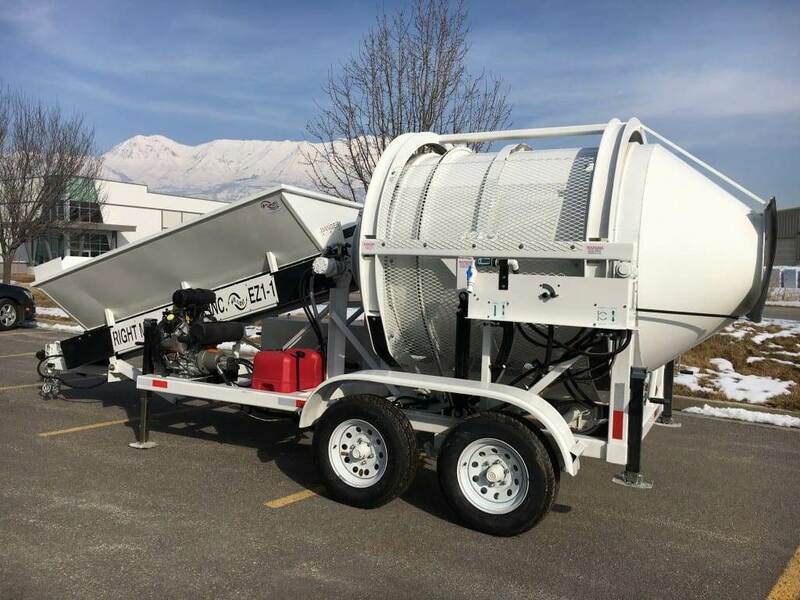 With the hopper in the raised position it is easily filled by machine skid steer or front end loader, then conveyed directly into the mixing drum. In the lowered position you can break bags by hand directly onto the conveyor system. 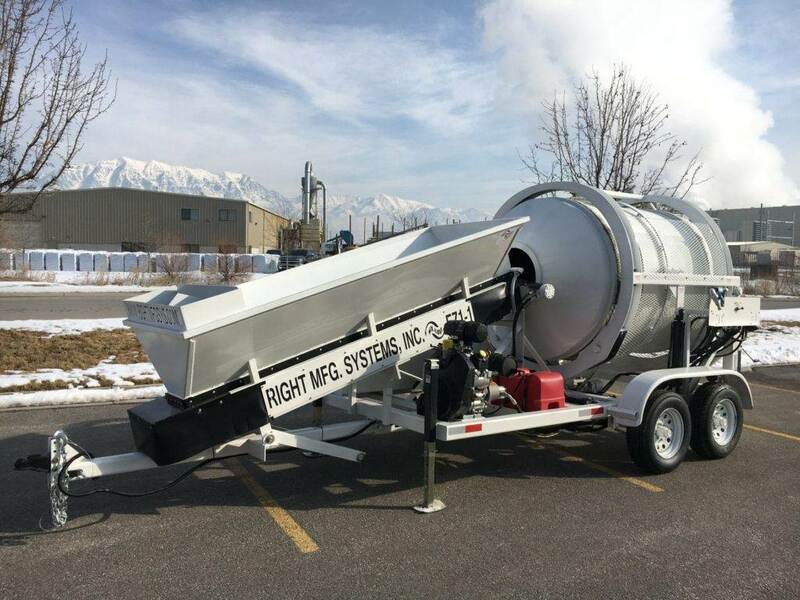 The EZ 1-1 can be towed to remote job sites by pickup. 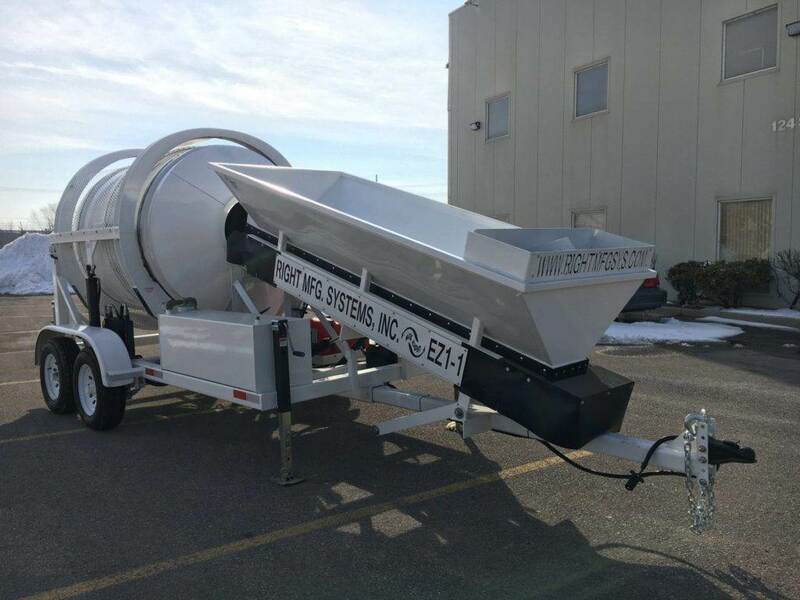 The axles are sized large enough so wet concrete can be transported to the delivery site. 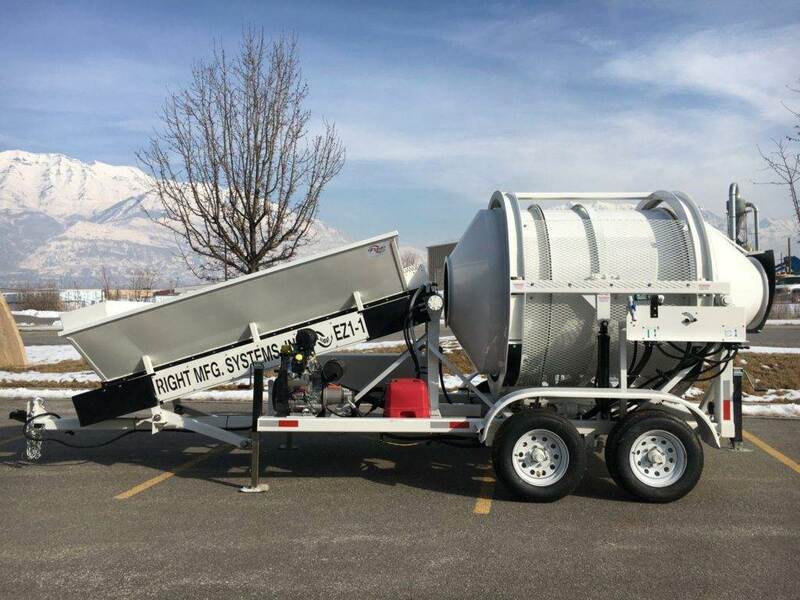 Perfect for the small to medium contractor in very remote areas. 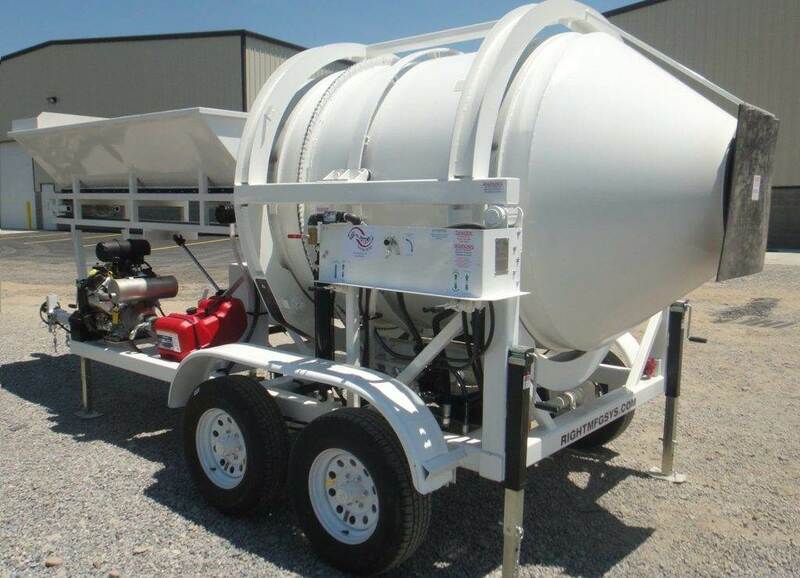 With this machine you can say goodbye to short load fees, and make concrete on your time, not the concrete plant’s. The automated EZ 1-5-2 with Auto Controls is available as an upgraded alternative model. 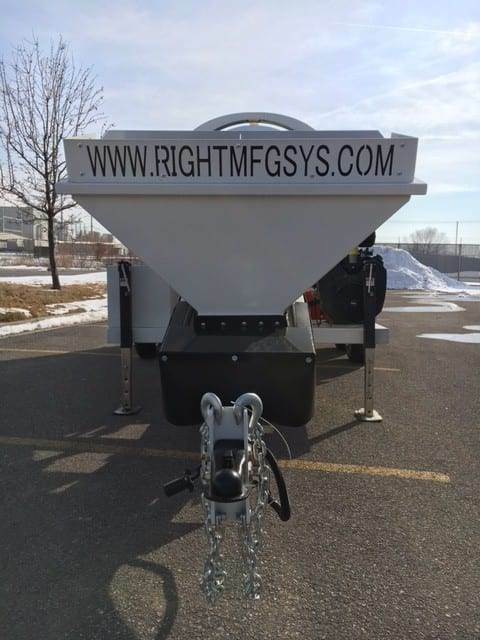 Sand, Gravel, and Water are measured automatically. The water meter measures exact water readings for yardage control. 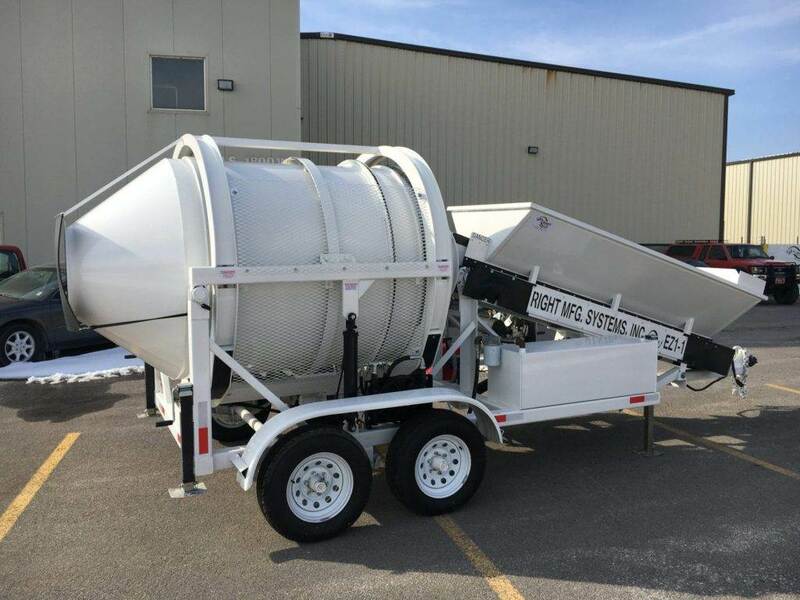 Cement is loaded into the mixer with a silo or directly onto the belt with the standard bag breaker. Print tickets are available with this model. 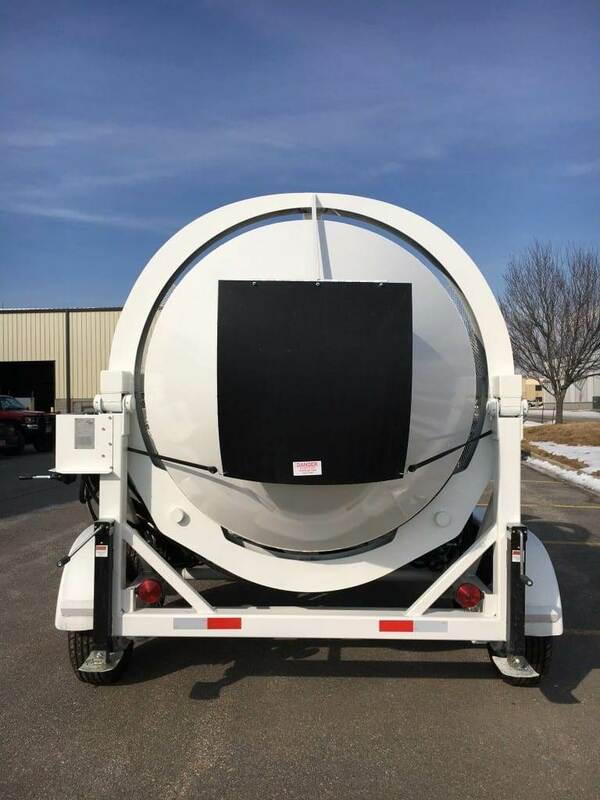 This machine is more accurate where spec concrete is required.